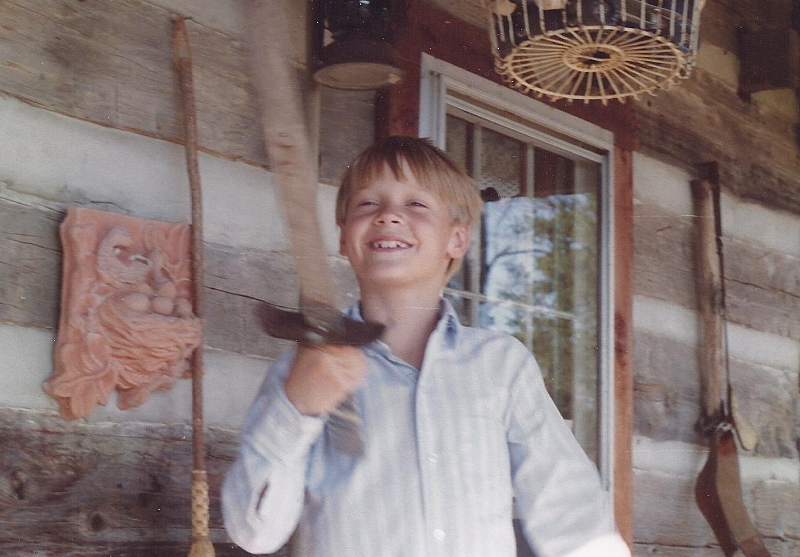 I'm the son of a timber framer and visual artist, born in the first log cabin my father ever built and was raised as the 4th generation on that family farm. My grandmother, a Julliard trained pianist, exposed me to classical music at a young age, and I later came to study classical guitar performance at Shenandoah Conservatory. During and after conservatory studies, I built guitars for Gallagher Guitar Company in Wartrace, TN. I later worked in the Peace Corps and ran a non-profit organization. These experiences coalesced into the creation of my own workshop where I work full-time handcrafting classical guitars near Cookeville, TN. Owners of these guitars include performers and collectors around the world. The first guitar was completed weekends while working at Gallagher Guitar Co 2006 and 2007. It was the culmination of the past six years of college, work and the superfluous, self reflective cocktail of yoga, meditation and youthfully ignorant enlightenment. The guitar was ok. I didn't know crap. In addition to fundraising, those are the things that passed through my mind as I balanced the completed guitar no. 2 on its side, freeing myself to grab some French polishing supplies. It was already a foot and half from the concrete floor when I was again squared up to the bench. So I was standing their - the shellac in one hand, the polishing pad in the other - staring at my second guitar laying top down on the concrete floor at my feet. It was fully strung when it hit and I didn't have any rubber mats at this time, so it hit with a burst of resonance from the cavity followed by some proportionally diminished aftershocks - kind of like a bouncy ball reluctantly submitting to the law of gravity. Rage doesn't really describe the angst I felt. Before spending about two hours trying to undo the accident wth my eyes, trying to find some way to make it disappear and seriously questioning the viability of time travel, I had a brief yet very calm and authentic curiosity. I asked myself, "I wonder what it sounds like now?" I started working immediately after serving years in the Peace Corps. I didn't like the idea of rounding off two years of service by surfing the couches of family and friends in search of the next adventure, so I applied for a job managing a non-profit in Cookeville, TN. I had never spent time in Cookeville, nor did I have any desire or lack there of to live there. I was in a very peculiar state of mind. The previous two years were my first experiences with impulsivity. It was an anecdote to my perfectionism. It was like a fancy new tool that a guy gets to signal his technical capacity without first knowing how to properly use it. So I said, "Cookeville? Meh. Why not?" I had very little to lose at that point in my life. It was beautiful.